16 Comments on Yahoo News. 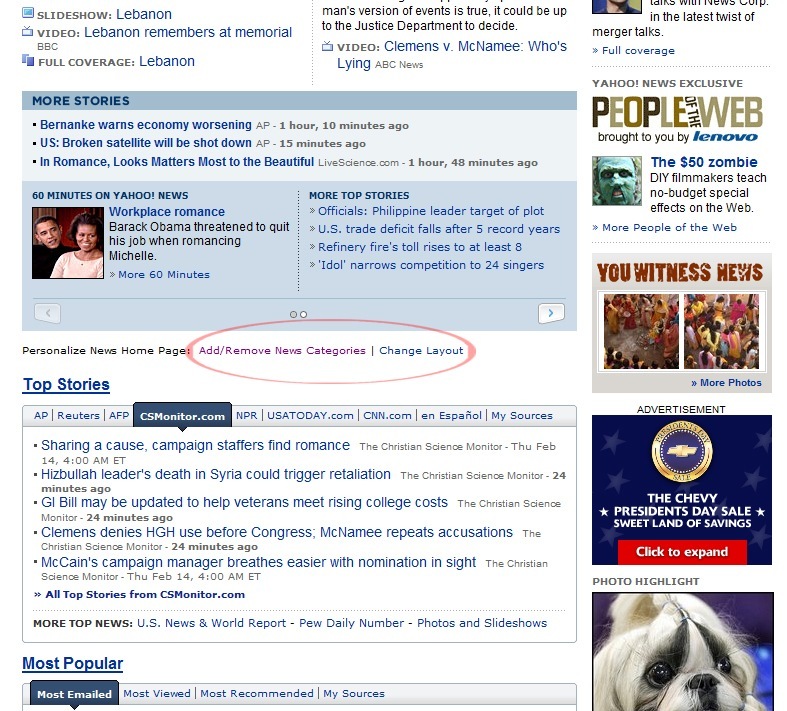 #1 Online News Site. The homepage is loaded with dynamic elements that make it easy to get MORE information into the initial page and reveal even MORE information QUICKLY without having to load more pages. What content is included or excluded, as well as the order of the different types of content, can customized to the user’s preferences. 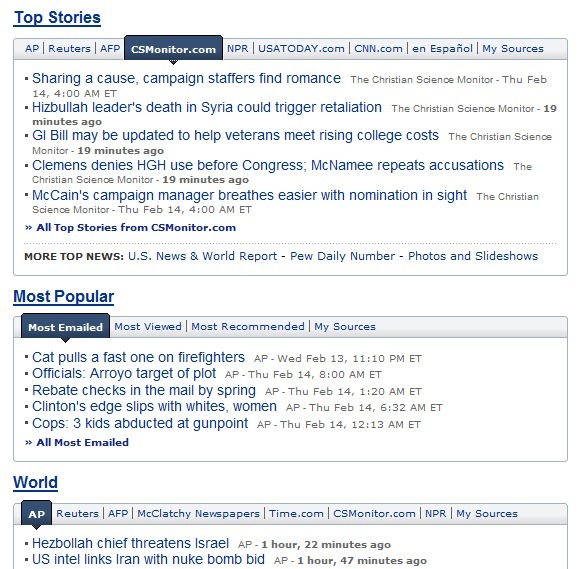 On most pages a there exists a feature that allows for quick (no re-loading or loading of new pages), dynamic toggling between ‘headlines only’, ‘include summaries’, and ‘ include photos’ empowers the user with the ability to quickly skim information and control how many details the individual wants to see. The style of the site feels outdated and the layout tends to evoke feelings of information overload. It is great that the pages can be customized, but the ability to customize and the knowledge of what one can actually customize are buried and extremely easy to miss. 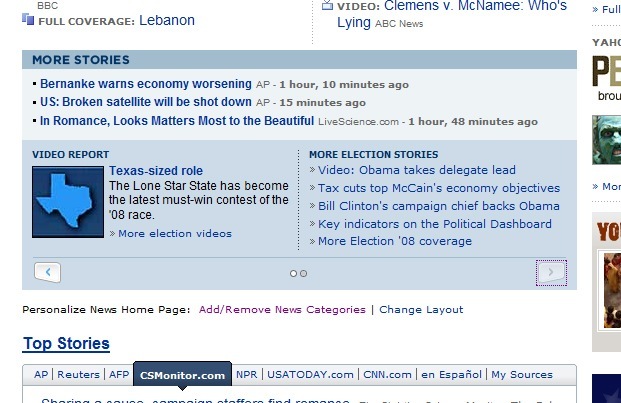 Near the top of the pages is a ‘more stories’ widget that is both unnecessarily animated and presented in style mismatched with Yahoo News’ overall look-and-feel. Tune in for my next posting, where I will be turning my attention to the #2 news site: CNN. 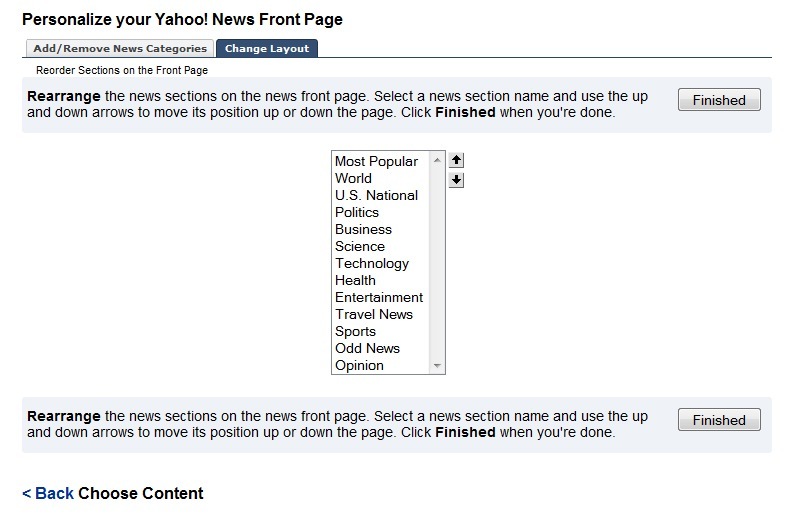 What parts of the Yahoo News website experience do you love (or hate)? Subscribe now (click here) to make sure you don’t miss any part of this series exploring the User eXperience within the world of news websites as well as other upcoming, insightful posts from The Product Guy. CNN Website. What’s so good about it? 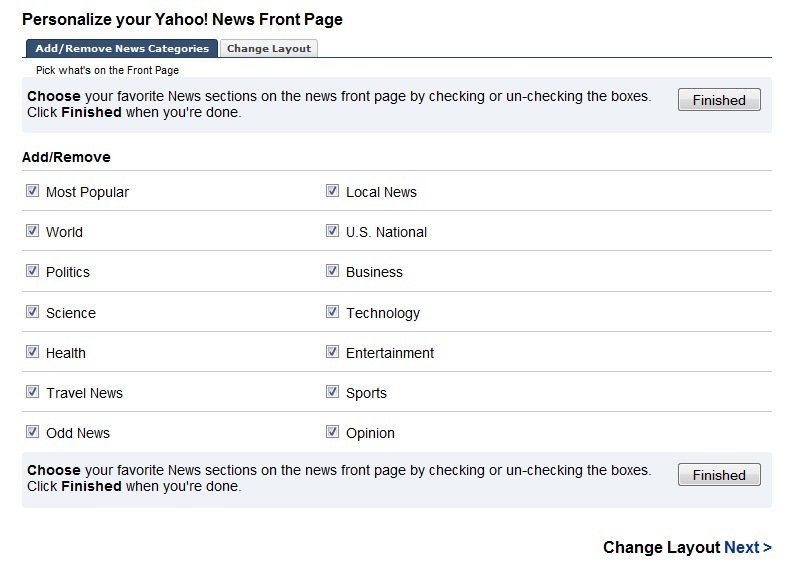 I have been using Yahoo News as my log-in page for as long as I can remember. I like the reading AP and Reuters, as well as the mapping, sports scores, weather and air fare features best. 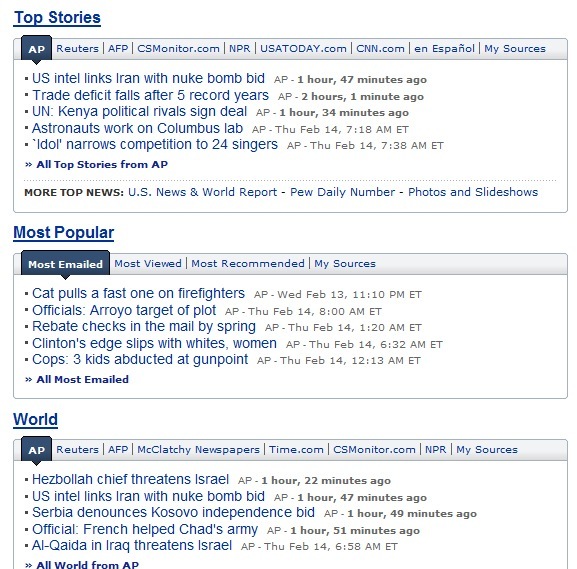 For straight news, Yahoo is about the same as CNN, FOX or MSNBC. 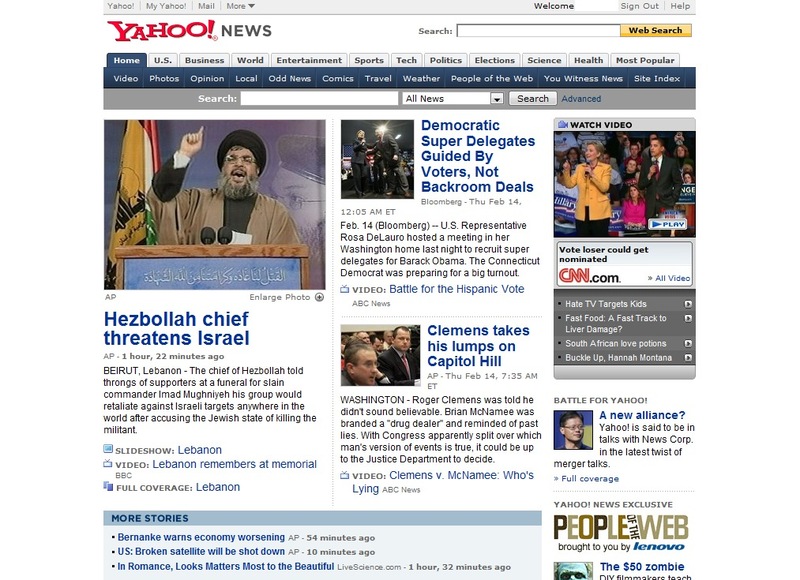 I disagree with the “information overload” statement about Yahoo News. Its design is so simple that you’d have to be trying hard to feel overstimulated. 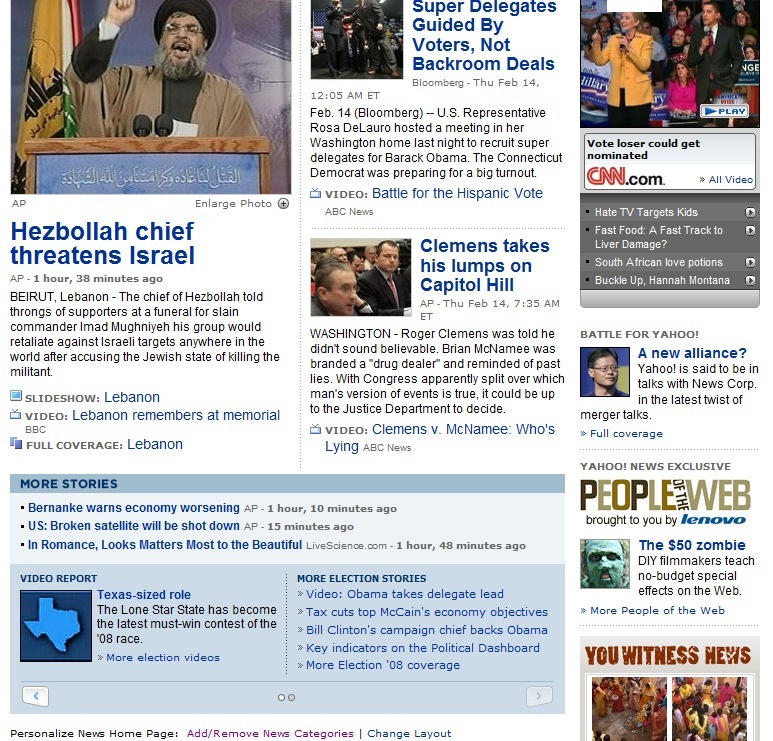 It does a much better job of organizing and breaking up headlines than sites like CNN…which truly do give headaches. 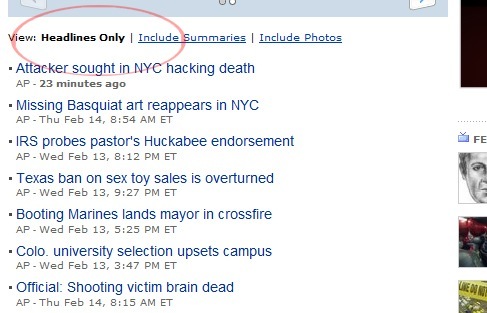 I must confess I like Yahoo news. I have been using Yahoo News as my log-in page for as long as I can remember. Pingback: FuzzLinks.com » Yahoo News. #1 Online NewsÂ Site. 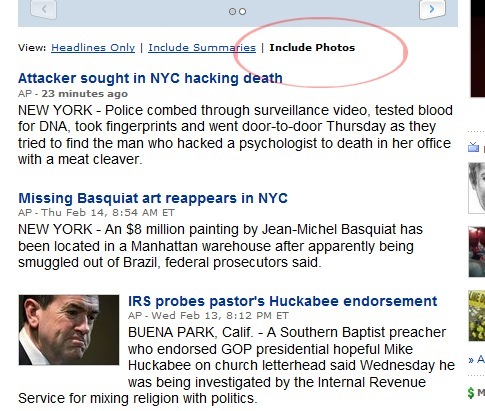 Maybe I should check out Yahoo news now, looks pretty cool. I pretty much rely on my reader for news anymore and tend to use Google News for my general news-reading. But I think I’ll browse it for a few days and compare. 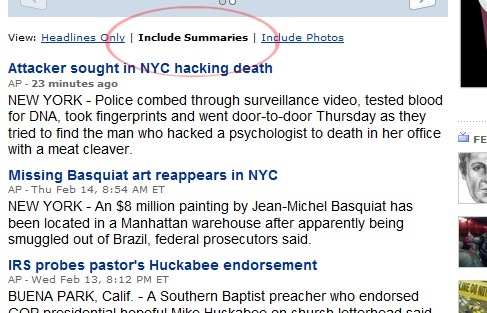 I’m sure for folks who don’t use a feed-reader Yahoo’s news page is sleek and functional. Thanks for the post. Good info to know. Great run down, I think Yahoo still has to clean it up a bit. Next Entry CNN website. What’s so good about it?